Scooper - Technology News: Hypertension causes nearly 10m deaths annually - so why aren't we doing more about it? Hypertension causes nearly 10m deaths annually - so why aren't we doing more about it? Most of us know about hypertension – at least we think we do. We understand that abnormally high blood pressure puts us at greater risk of heart attacks and stroke. And we also know that it is linked to diet and lifestyle, and can be treated with the right medication. But many would say that hypertension is primarily a “rich-country” problem, implying that most affected people have access to the right knowledge and treatment. That is not the case at all. Hypertension affects a staggering one billion people worldwide, and is responsible for nearly ten million deaths annually – as many as all infectious diseases combined. Furthermore, most of the disease burden from hypertension occurs in low- and middle-income countries (LMICs), where people develop the disease at a younger age and experience worse outcomes than in high-income countries. You are far more likely to die from hypertension-related complications in Ghana, Mongolia, or Vietnam than you are in Britain, France, or the United States. According to the World Health Organization the rates of hypertension in LMICs, are already the highest in the world, and are set to continue to rise rapidly. 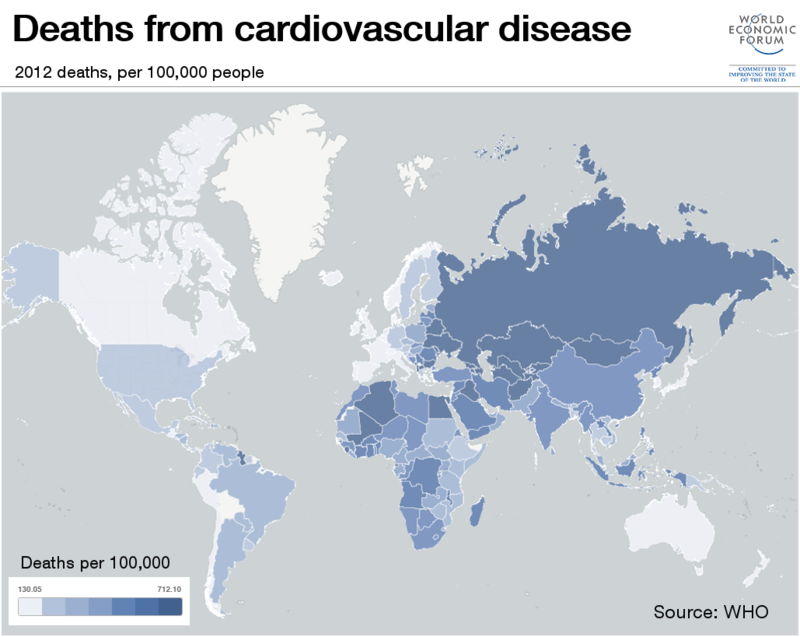 Cardiovascular disease – for which hypertension is the leading risk factor – now accounts for the highest disease burden globally and is the main cause of death in most LMICs. Some of the reasons for hypertension’s rising prevalence are easy to discern. Increased life expectancy is causing the share of elderly people to grow, while economic development and urbanization reduce physical activity and increase consumption of processed food, alcohol, and tobacco. There also seem to be other factors at play that are not yet fully understood. What is clear is that people in LMICs are not really aware of hypertension, owing to its lack of visible symptoms. And those who know they have high blood pressure may not know that it is linked to stroke and other cardiovascular diseases. This makes it all the more difficult for health services in LMICs – which are often under-resourced, equipped solely for acute care, and overwhelmed by high maternal and child mortality and the persistent battle against infectious diseases – to address hypertension and other non-communicable diseases. Yet international donors have not stepped in to pick up the slack. Less than 5% of global development aid was allocated to fighting non-communicable diseases in 2013. On a recent visit to a hospital in Accra, Ghana, I saw firsthand the suffering and grief caused by hypertension. Hospital wards are filled with dozens of debilitated or dying young adults – working-age people who are responsible for families – suffering the effects of stroke or other complications of hypertension. Similar scenes play out throughout the LMICs. The result is not only untold suffering for the sick and their families, but also high health-care costs and weakened productivity. The loss of economic output related to non-communicable diseases, including hypertension, is projected by the WHO to total roughly $7 trillion between 2011 and 2025. The key to addressing this crisis will be to develop innovative mechanisms to deliver care in a way that is patient-centered and can be integrated over the long term into the health system and the local economy. One potential solution, being pursued by the Novartis Foundation (which I head) and its partners, is to shift the patient’s point of access to care from hospitals – often distant and crowded – to the local community. Beginning in the eastern region of Ghana, our Community-based Hypertension Improvement Program (ComHIP) trains local businesses and health-care workers living in the community to screen and support hypertensive patients. Digital health-care tools are used to help nurses in decision-making; to ensure seamless connections among screening points, community-health workers, and physicians at the referral sites; and to empower patients to take more responsibility in managing their own health. A second innovative model for addressing hypertension, introduced by the Novartis Foundation and its partners in Vietnam, is the Ho Chi Minh City Communities for Healthy Hearts Program, which aims to shift screening and treatment to the community through social entrepreneurs. As with ComHIP, digital health technology empowers patients in their self-management and increases patient-to-provider contact. What is needed now is to test these innovative approaches to health-care delivery, build evidence of their effectiveness, and apply their lessons to other initiatives. We hope to hone our models so that they can be scaled up to provide countrywide coverage and address not just hypertension, but also other non-communicable diseases. Moreover, we plan to work with local and international partners to adapt successful models to serve as the basis of programs in other countries, with a focus on urban areas. Last month, World Hypertension Day provided a subtle reminder that hypertension is, indeed, a problem affecting the whole world. Like any global problem, it requires a global solution. Specifically, international actors must work together with local communities to build innovative new models that work even in difficult or under-resourced environments. Only then can we successfully tackle the scourge of non-communicable diseases.